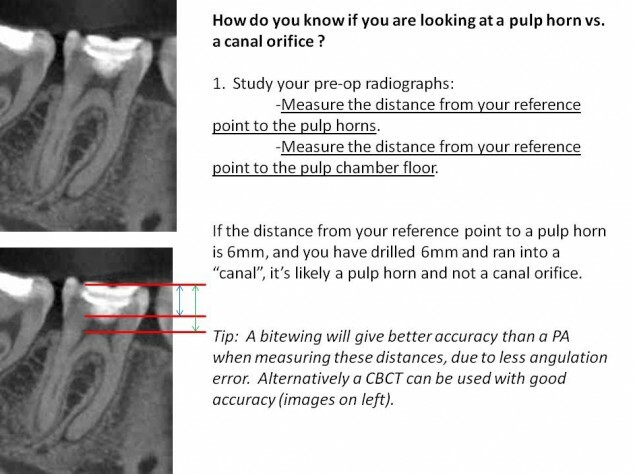 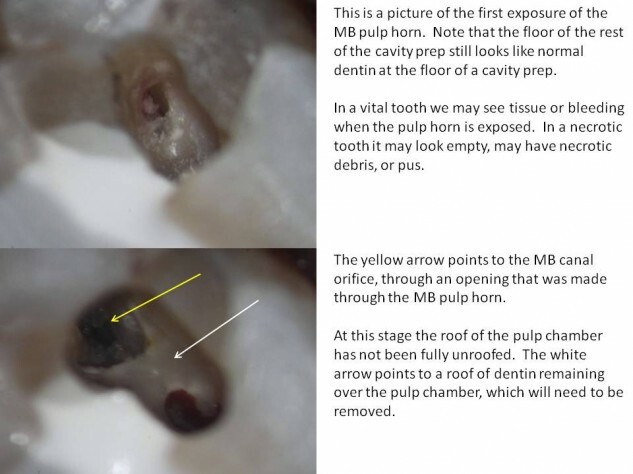 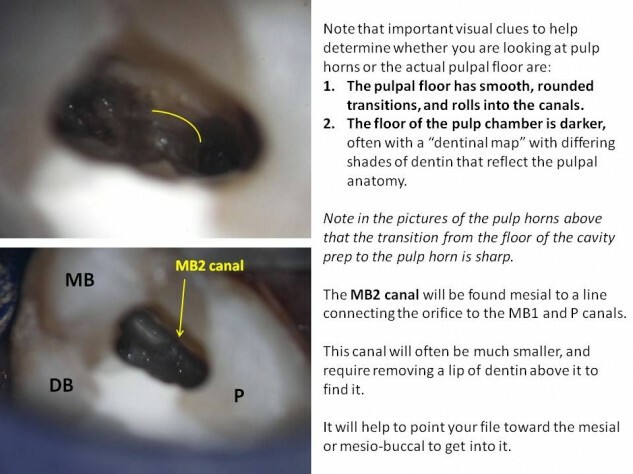 A common question from the mandibular molar project was “How do I know when I have reached the pulp chamber?” This also ties into a similar problem that is encountered; not recognizing when the pulp chamber has been unroofed, and treating canals through the pulp horns. 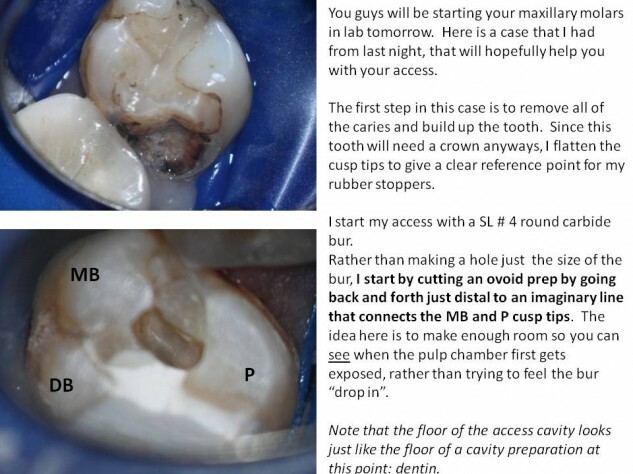 Being that these are the first molars that you have ever accessed, it is normal to have these types of questions. 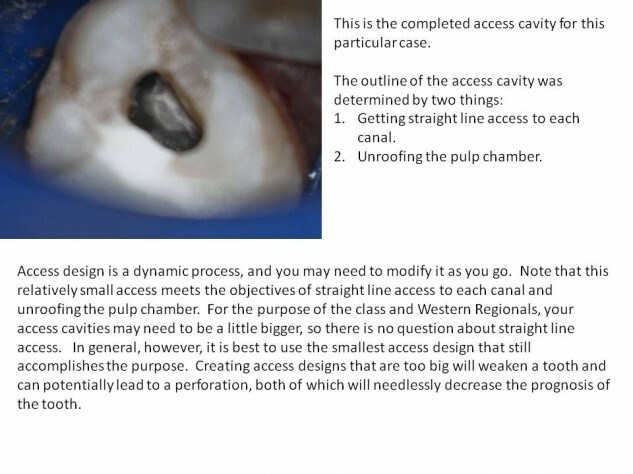 Hopefully the guidelines and visual aids in this post will help to make these access preparations make sense.